This is my original copy of this novel, which I first read when I was sixteen years old. You’ve seen one like it, right? It’s the copy that I remember seeing on the shelves of my older female relatives as well. It seemed like everybody I knew had this book on their shelves, even if they weren’t big readers. My friend’s mother had a hardcover bookclub edition that replicated the original cover, which I saw some years after I’d read it, and I wanted it instantly, but I still have the same paperback. When I was in my 20s, however, I did get the Deluxe version of the movie. On two VHS cassettes, with a beautiful illustrated-in-glossy-colour booklet (which is what used to be so thrilling, before there were DVDs with really cool extras). Not only was this cool because I’d never seen the full movie before (only televised versions, which always cut out different parts: who knew!) but because I could view and re-view selectively. Gone with the wind were the years of deliberately memorizing dialogue from favourite movies, but I naturally picked up some of my favourite passages. And, by naturally, I mean that I was capable of reciting small chunks along with the characters, complete with gesture and cadence. And, oh, yes, I had a 1000-piece framed jigsaw puzzle of the original movie poster. We all have framed jigsaw puzzles of our favourite books’ covers lining our walls, right? All of this to say that when I was sixteen — and for a good while afterwards — I loved this story. Loved it unreservedly. Loved to hate Scarlet. 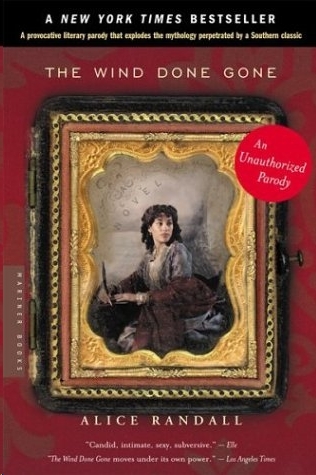 (Many of my favourite characters in literature are unlikeable, but I don’t need to be friends with them after all.) Loved to love Rhett. Loved the whole thing. Then something went awry in my later twenties. I learned that Clark Gable was said to have terrible breath. That all his leading ladies had to suffer through his Hollywood kisses. And I learned this because I wrote a paper on race relations in 1930s America viewed through the filming of Gone with the Wind. And that research is why I gave away my Deluxe VHS cassettes. And the pretty books about the movie that I’d loved so. But somehow I still did not equate the racism that permeated the process of filming “Gone with the Wind” with Margaret Mitchell’s novel. It was, to my then-reader’s mind, a novel depicting the Deep South in the United States — a deeply fractured time and place — filmed in a time and place deeply fractured by racism. Somehow I compartmentalized my response to the film as one creative response to a creative work; I did not draw the line from the racism that permeates the film back to the novel. 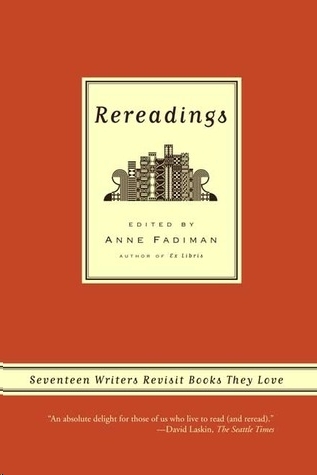 Sure, I was cautious about re-reading the novel — well, it’s 1024 pages long in this edition, and that’s a lot of reading hours — but The Heroine’s Bookshelf Read-a-long was tempting. My reader’s brain is tickled by noticing new details on a second reading. And it makes my reader’s heart race when a different emphasis changes my emotional response to a story, when I pull a different meaning from the familiar words. Basically: I miss a lot. And I find it satisfying to think that I can fill-in-the-gaps by taking another pass. 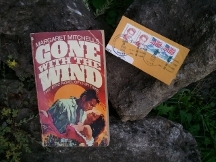 And this time I read really carefully, every single word, and the back cover of my paperback fell off about halfway through, so it became my bookmark along with those snipped Margaret Mitchell stamps. But sheesh. I don’t just feel as though I missed a lot on a first reading of this novel; I feel like I must have read an entirely different novel that first time. It’s racist. It’s classist. All the men are either uncomplicatedly terrible or useless. All the women are neatly divided into maidens, mothers and whores. All the children are annoying. Oh, that sounds so harsh, right? Especially given that, if you’d asked me as a sixteen-year-old reader, I know that my response would have been in stark contrast. But below I’ve shared some of the passages that I was seemingly untroubled by as a teen. And perhaps that’s because I was willing to write this off as Scarlet’s perspective (and she can’t help but be racist and classist and her privilege is bound to knock a reader off kilter). But my difficulty with that interpretation, on this reading, is that MM often chooses to step outside of Scarlet’s perspective, but she never offers anything in contrast to this tone. And perhaps my different reaction was rooted in the fact that I adhered to the Great Books mindset, truly believing that there was an unchallenged group of literary works in which critics and scholars had identified quantifiable elements of greatness. And my difficulty with that perspective, on this reading is, that even if one accepts that as true (which I no longer do), one has to identify those elements in GWTW. But Scarlet’s characterization is inconsistent, the melodrama in the prose is punctuated with swathes of extended exposition with long descriptions and summaries of historical events, and a novel of this length requires a stronger arc to maintain cohesion across so many years and pages. I think I make a lot of excuses for books. I read books with sexist elements that I continue to love on later re-readings. I love them “even though”. They remain favourites, and I outright add a “but” when I talk about the compromise(s) I might feel myself make as a reader with that continued fondness. I know that I once loved this book, and millions still do, and it won a Pulitzer Prize. Why do these elements seem so unforgivable now? Why is it no longer possible for me to excuse them the way that I have excused other ugliness in fiction that I still feel fondly towards. I’m not really sorry to have re-read this. Sure, it’s 1,024 pages and I could have read three other books. But the idea that my reading of a certain book could be so drastically different (not just a vague sense of disappointment) fascinates me. What am I reading right now, what is being publicly lauded for its literary value this year, what book do I think is positively brilliant, that I might re-read years hence and find horrors within. If your love for this book is unwavering, please tell me how that works for you. If you’ve questioned an old affection for it, please tell me if you’re still questioning it, or if you’ve written it off. If you never have loved it, please tell me about that too. For now, I’m eyeing some books on Margaret Mitchell. And am doubly grateful that my other re-readings this year have not been quite so complicated! “The fainy niggery smell which crept from the cabin increased her [Scarlett’s] nausea and, without strength to combat it, she kept on retching miserably while the cabins and trees revolved swiftly around her. I absolutely and completely loved this book as a teen, but have a feeling that I would have the exact same issue on a re-read… so racist and classist :S It is crazy how much we really don’t notice or don’t know we should notice isn’t it? Yup: I want to know what I’m reading right now that I might be shaking my head in wonderment at, twenty years or more hence! I read and loved this book when I was in high school. I’m wondering how I would feel about it now myself. Will link to your post on War Though the Generations. Thanks, Anna. I’ll be curious to see how you feel if you do re-read. I loved this book when I was 13, and I love the movie too. I reread/rewatched them regularly through high school, so until I turned 17. Now, I haven’t watched the movie in years and I gave away my copy of the book, because I’m sure that the racism just wouldn’t sit well with me. Those passages you excerpted made me wince for my younger self! Wincing: that’s a great way to describe how it felt re-reading this. A relentless state of wincing! I had the same paperback copy! I did reread part of it a few years ago. It is pretty good–one of those books like Valley of the Dolls. But, yes, if I reread the whole thing, I’m sure the racism would have gotten to me. Heh. It was everywhere, right? I bet we have/had the same edition of Lord of the Rings, too. VoftheD is on my 2012 list. I’m looking forward to it!